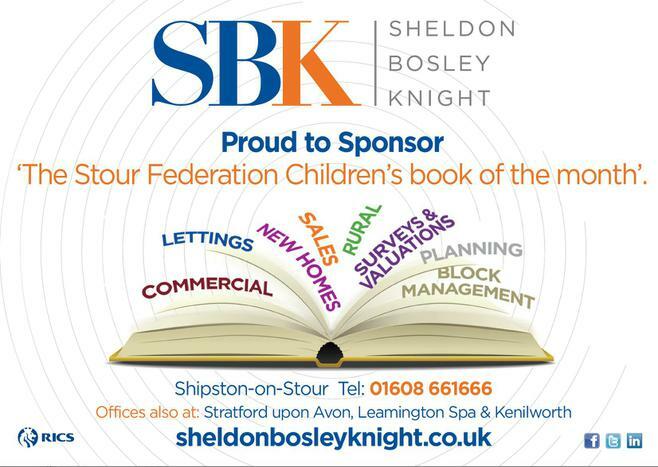 Sheldon Bosley Knight sponsor a chapter book and a picture book each month for Acorns Primary, Brailes C of E Primary and Shipston-on-Stour Primary. Acorns Primary School immersive walk-in reading display. 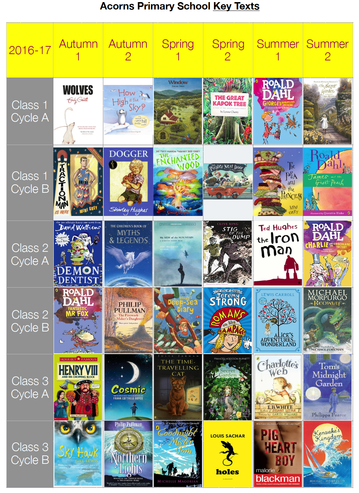 For each half-termly topic, the teachers choose a key text to read with the children, for use in guided reading and reading lessons, and to stimulate writing and topic work. Accelerated Reader (AR) is a computer program that helps teachers manage and monitor children’s independent reading practice. 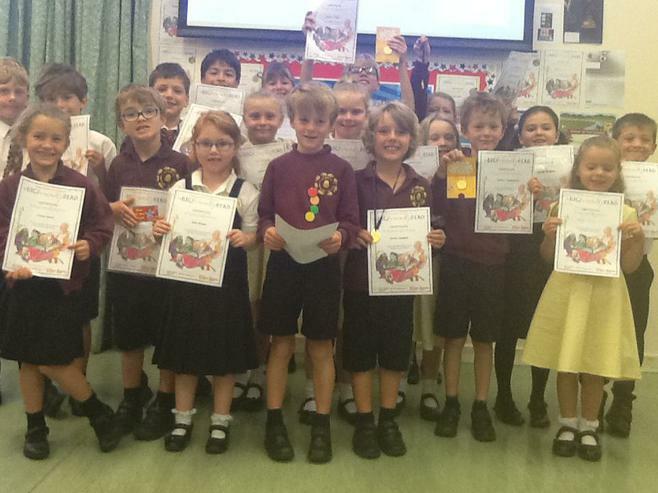 At Acorns Primary School, children in Year 3 upwards use AR, with children in Year 2 using the system after Christmas. How does Accelerated Reader work? Your child picks a book at his/her own level and reads it at his/her own pace. When finished, your child takes a short quiz on the computer. (Passing the quiz is an indication that your child understood what was read.) AR gives both children and teachers feedback based on the quiz results, which the teacher then uses to help your child set targets and direct ongoing reading practice. Children using AR choose their own books, rather than having one assigned to them. This makes reading a much more enjoyable experience as they can choose books that are interesting to them. Children can also take quizzes on books that have been read to them, e.g. 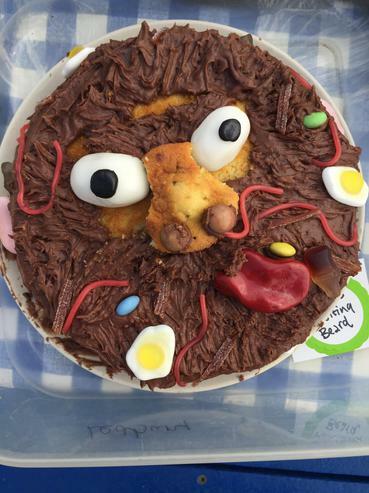 by parents and teachers. How much will my child read during the school day? According to research, children who read at least 20 minutes a day in school and 20 minutes a day at home with a 90% comprehension rate (average percentage correct) on AR quizzes see the greatest gains. Therefore, your child will have 20 minutes set aside for reading during each school day. Please replicate this at home too. How can I help my child become a better reader? As with anything, performance improves with practice. Encourage your child to read at home. Create a culture of reading in your household by reading with your child, starting a home library, visiting your local library or bookshop on a regular basis, letting your child see you reading and discussing books that each of you have read. When reading with your child, stop and ask questions to be sure your child is comprehending what is read. Reading with your child, no matter what the child’s age, is an important part of developing a good reader, building a lifelong love of reading and learning and creating a loving relationship between you and your child. 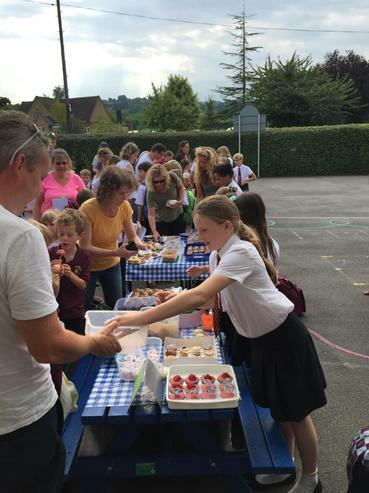 Make learning a family affair! How does the school determine my child’s reading level? Teachers determine your child’s reading level in one of three ways: a STAR Reading™ test, a reading age estimation from a standardised test or by using their best professional judgement based on their knowledge of your child. STAR Reading is a computerised reading assessment that uses computer-adaptive technology. Questions continually adjust to your child’s responses. If the child’s response to a question is correct, the difficulty level of the next question is increased. If the child misses a question, the difficulty level of the next question is reduced. The test uses multiple-choice questions and takes approximately 10 minutes. What is a Zone of Proximal Development (ZPD)? In independent literature-based reading, ZPD is the range of books that will challenge a child without causing frustration or loss of motivation. Your child will receive a ZPD range after taking a STAR Reading test or teachers can use their best professional judgement to determine a ZPD. It is important for children to read with a high degree of comprehension and within their ZPDs. ZPDs should be adjusted based on the needs of your child. Every book that has an AR Reading Practice Quiz is given a point value. AR points are computed based on the difficulty of the book and the length of the book. Children earn points, or a portion of a book’s points, depending on how well they do on the Reading Practice Quiz. For example, a child who takes a 5-question quiz on a book worth 1 point will earn 1 point for 5 correct answers (100%), 0.8 point for 4 correct answers (80%), etc. A child who reads a book worth 5 points and takes a 10-question quiz will earn 5 points for 10 correct answers (100%), 4.5 points for 9 correct answers (90%), etc. For quizzes with 3, 5 or 10 questions, a child needs to pass a quiz with a score of 60% or higher to earn points. For quizzes with 20 questions, a child needs to pass with a score of 70% or higher to earn points. How many Accelerated Reader quizzes are there? There are over 26,000 AR quizzes available, with more being written every month. Reading Practice Quizzes are the most common type of assessment in AR. The purpose of these quizzes is to determine whether your child has read a book, to measure your child’s literal comprehension of the book and to provide immediate feedback. Each Reading Practice Quiz consists of 3, 5, 10 or 20 multiple-choice questions depending on book level and length. Vocabulary Practice Quizzes measure a child’s command of vocabulary words encountered while reading. They are designed to reinforce vocabulary acquisition, assist with individualising vocabulary instruction and generate your child’s interest in words through authentic, in-context literature experiences. Quizzes include 5, 10 or 15 words from a particular book as well as review words from previously read books. How will I know if a book has an AR quiz? To know which quizzes your school has available, contact your child’s teacher or librarian. You can also visit the AR BookFinder™ at www.arbookfind.co.uk to conduct a search of all available books with AR quizzes. 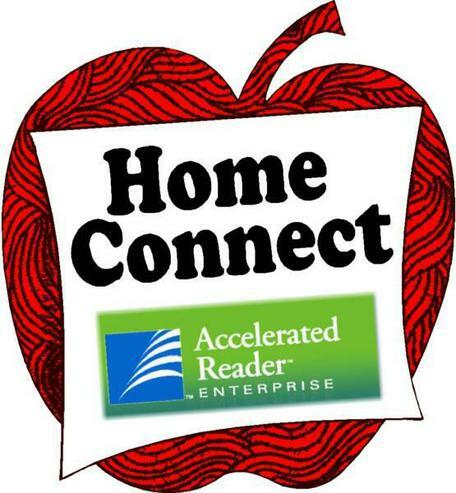 Accelerated Reader Home Connect is a tool that connects the school and home to keep parents informed of their child’s progress toward Accelerated Reader and encourages the child to practice reading at home. How does Home Connect help me improve my child’s reading progress? You can view your child’s progress toward reading goals and reader certification, and view all books that your child has read and quizzes your child has taken. You can view all words a child has learned through Vocabulary Practice Quizzes. In addition, words the child missed are clearly marked so you can help your child learn those words. You can access an online search tool, AR BookFinder, to search for books using various criteria, including author, subject, or reading level. You can receive emails that reveal results for Reading Practice Quizzes and Vocabulary Practice Quizzes and provide links to the website where you can check progress. Click on the Home Connect apple below. The same login and password that your child uses at school will work at home to sign up for Home Connect. 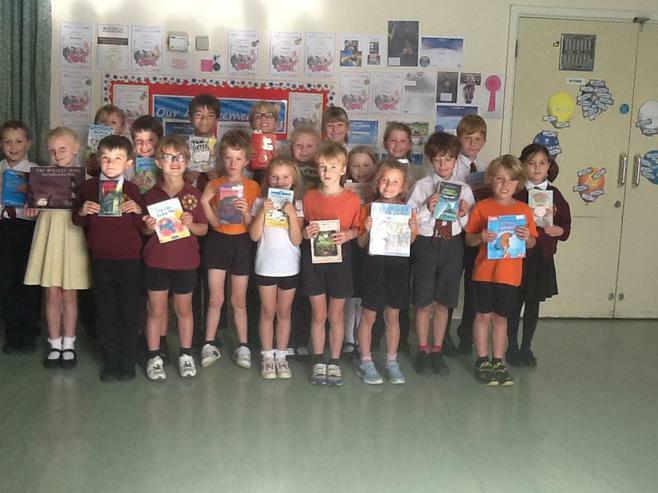 Children can only take Accelerated Reader quizzes at school.